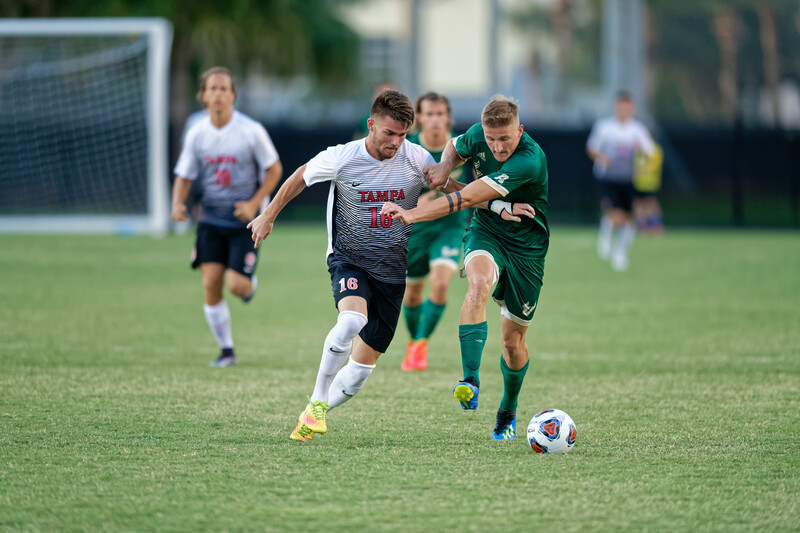 After a tough season, the men’s soccer team defeated USF with the score of 3-0 on March 23 during the Tom Fitzgerald Soccer Festival. The Spartans ended their 2018 season with a record of 3-7-4 overall, making it one of their weakest seasons. The contradiction here was that last fall, all games were against Division II schools. In the majority of the games, the team played overtime and only won one of those games. However, this semester, the Spartans started their pre-season with their best foot forward, winning against the Bulls, a Division I school. Adrian Bush, head coach of the men’s soccer team, believes that the results of last season were due to the lack of chemistry on the field. In 2018, the soccer team recruited 15 freshmen, resulting in a team completely new and young. The college soccer season is only 57 days long, making the shortest season than any other sport in college athletics. The team still has three injured players which the coach staff has projected them to be impact players. However, the Spartans has stepped up with a lot of hard work and carried it into the spring season, according to Bush. Juancho Fernandez, forward junior, was the main player of the game against USF. With two goals and with the assist of the third goal, he helped the team to bring their trust back. However, according to the head coach, it was a collective effort. Jake Richards, junior goalkeeper, and Tiago Capela, sophomore goalkeeper, shared the goal during the match, doing phenomenal saves for the Spartans. Bush also compliments the backline saying their work was unreal. For the next season, the coaching staff is excited to bring a strong recruiting class to help the team achieve their goals – which is to win the NCAA championship. “We had five players graduate this year and I think we’ve filled the holes very good with the right people,” said Bush. However, soccer skills weren’t the only thing they were looking for in the players. Good character was something they were really focused in finding in the recruiting class. The Spartans are getting ready to finish their spring season in a strong pace and mentality. The next game for the Spartans will take place on April 6 against Southwestern University at the Pepin Stadium.